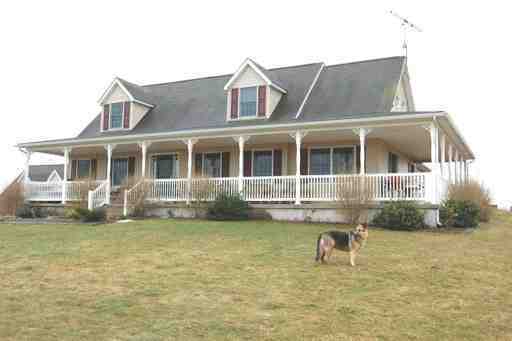 Godstone Farm is a leading Pennsylvania Thoroughbred Breeder. Our focus is to produce top quality race horses to win in a rapidly growing Pennsylvania racing industry. BREEDING TO WIN - For 2016, we are featuring WELL SPELLED. We offer live foal guarantees on all our stallions. BOARDING - We offer competitive rates and exceptional value. Our farm has one of the highest live foal rates of any operation in Pennsylvania. TRANSPORTATION - Godstone Farm offers limited horse transportation on a case by case basis at competitive rates. Please contact us for details. RE-TRAINING AND LAYUPS - We offer re-training of off the track thoroughbreds (OTTB) for a new career as jumpers or eventers as well as layups requiring additional care for return to the track. Contact us for details at maria@godstonefarm.com. LIFETIME EXPERTISE - Judith Barrett has more than 20 years of experience breeding and foaling thoroughbreds. She has worked in every facet of the racing industry from riding races as a jockey, to training, owning and breeding for nearly 40 years. She has been involved with horses professionally her entire life. To access our stallion service and boarding contracts click here.